Note, changing colors may yield higher price. 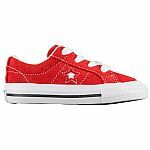 Eastbay has Boys' Converse One Star Ox on sale. Take an extra 20% off in the cart. Shipping is free. Eastbay offers the adidas Originals Men's NMD R2 Summer Shoes in Trace Orange for $64.99. In-cart, that drops to $48.74. With free shipping, that's $3 under our October mention and is the lowest price we could find by $29. They're available in select sizes from 7 to 13. Eastbay offers its Eastbay Women's 5" Training Shorts in several colors (Black pictured) for $4.99. In-cart, that drops to $3.99. With free shipping, that's $16 off list and is the lowest price we could find. 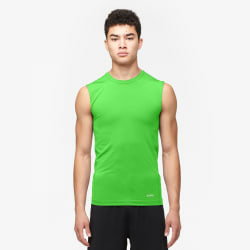 They're available in select sizes from XS to L.
Eastbay offers its Eastbay Men's Evapor Core Sleeveless Compression Top in Rage Green for $4.99. In-cart, that drops to $3.99. With free shipping, that's $16 off list and the lowest price we could find. It comes in sizes L to XXL. 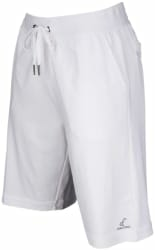 Eastbay offers the Ably Men's Poolside Shorts in White for $4.99. In-cart, the price drops to $3.99. With free shipping, that's the lowest price we could find by $71. 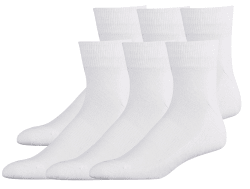 They're available in sizes M and L.
Eastbay offers its Eastbay Men's Cushion Socks 6-Pack in several styles (White Quarter Socks pictured) for $4.99. In-cart, that drops to $3.99. With free shipping, that's $2 under our Cyber Monday week mention and the best price we've seen. They're available in select sizes from M to XL. Items priced at $4.99 [eastbay.com] (changing colors from landing page may yield higher price, sort from low to high if link does not self-sort)- 20% In cart discount = $3.99. Shipping is free. Eastbay has clearance items for up to 80% off. Take an extra 20% off in the cart (no code needed). Shipping is free. Limited sizes are available. Final-Score offers the adidas Originals x Pharrell Williams Men's Tennis HU Sneakers in Yellow for $34.99. In cart, that drops to $27.99. With $5 for shipping, that's $3 under our October mention and the lowest price we've seen. (Outside of the seller below, it's the best deal now by $12. They're available in select sizes 9 to 11. A close price, Eastbay offers them in Green for an in-cart price of $33.74 with free shipping. Foot Locker offers the Nike Men's Air Max 270 Shoes in White/Silver/Blue for $129.99. Coupon code "TODAY25" cuts that to $97.49. With free shipping, that's the lowest price we could find by $26, although we saw them for $2 less in October. They're available in most sizes 8 to 13. Deal ends today. Note: Eastbay has them in Grey/Orange for $94.99, via coupon code "GIVE15"
Eastbay offers its Eastbay Men's Cushion Socks 6-Pack in several styles (White Quarter Socks pictured) for $7.99. In-cart that drops to $5.59. With free shipping, that's tied with last month's mention, $9 off, and the lowest price we could find. They're available in sizes M to XL . Eastbay has select Eastbay 6-Pair Men's Socks [eastbay.com] on sale for $7.99 - 30% in cart discount = $5.59. Shipping is free. 27.5" Nike Versa Tack Basketball [eastbay.com] $14.99 - 30% in cart discount = $10.50. Shipping is free. 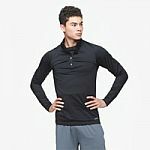 Macy's offers the Nike Men's Breathe Dry 1/4-Zip Training Pullover in several colors (Grey pictured) for $24.99. Pad your order with a beauty item (they start at $3) to bag free shipping; otherwise, shipping adds $10.95. (Zappos charges the same with free shipping.) Excluding padding, and outside of the seller below, that's the lowest price we could find by $5, although we saw it for $2 less in March. It comes in sizes from S to XXL. Deal ends November 20. Wear size S? Eastbay offers it in in Black for an in-cart price of $19.99 with free shipping. Eastbay has Nike Men's Air Huarache Run Ultra Sneakers for $60. Discount applies in cart. Shipping is free. Eastbay has select Eastbay 6-Pair Men's Socks [eastbay.com] on sale for $7.99 - 25% in cart discount = $6. Shipping is free.